Stories about generation ships are nothing new, we tend to see a good crop of them every year. The novel might focus on the disenchanted middle generation that didn’t leave Earth, and won’t see their destination, or perhaps deal with a mutiny, or a malfunction on the ship, or the fact that their destination planet can’t support human life. What I’m saying is that for the most part, many of us have seen this story before. 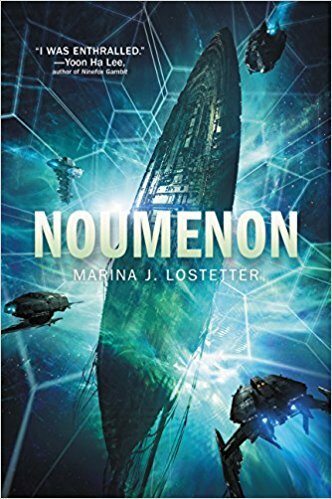 In Noumenon, Marina J. Lostetter goes in a somewhat different direction, and succeeds through the magic of ultra-fast pacing. It sounds counterintuitive, right? Speed up the pace of a story, to tell the story better? In Noumenon it works, and creates a unique situation for what might have otherwise been a forgettable novel. The first few chapters race by – an interstellar mission is funded, a subdimension drive is invented and tested and engines are built, an AI is designed around a common personal assistant program. In these early chapters you’ll find yourself turning the pages faster than you realize. 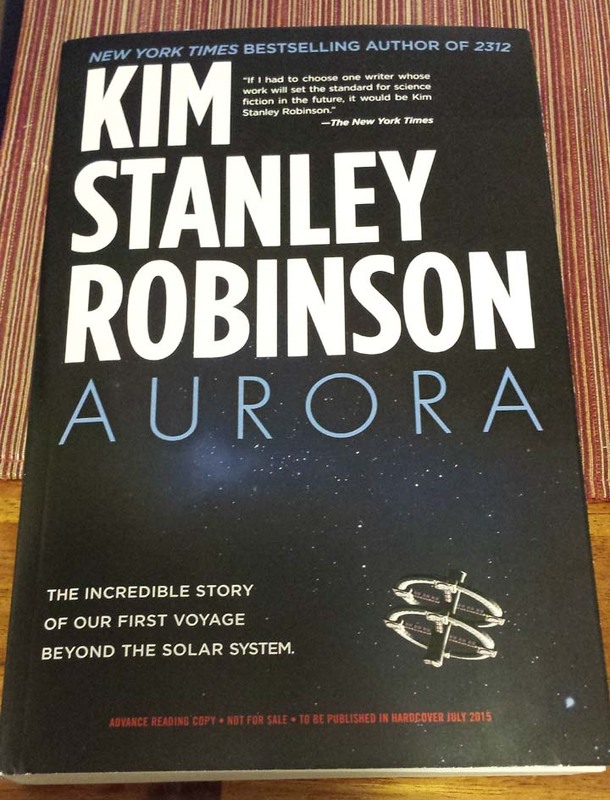 The prose is easy on the eyes, the characters are easy to get along with, we see everyone at their best, and we’re science fiction fans so of course we’re cheering for an interstellar mission! And before you know it, we’re in spaaaaaace! A few decades later, the implications of the twist start to hit. These aren’t just any regular people on a colony ship. Don’t think I’m spoiling things, because this is the least of the spoilers – the ship is crewed by genetic clones of the people who were chosen to go. When those clones age and “retire”, new clones will be born. If “Bob” is a biologist (making that up as an example) then every Bob who is every born on the ship will always grow up to be a biologist. The colony ship will always have just as many pilots, communications experts, doctors, teachers, sanitation workers, and scientists as it needs. Only one “Bob” is ever alive at a time, but there’s usually always a Bob walking around somewhere. Pretty interesting idea!